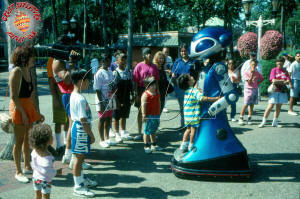 Theme parks are always looking to present something new and exciting as part of their entertainment lineup. 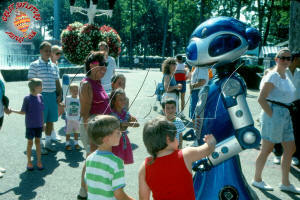 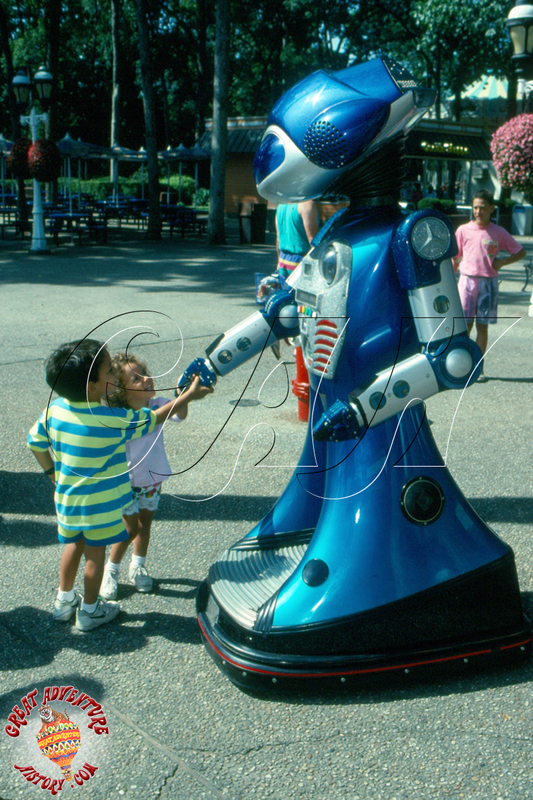 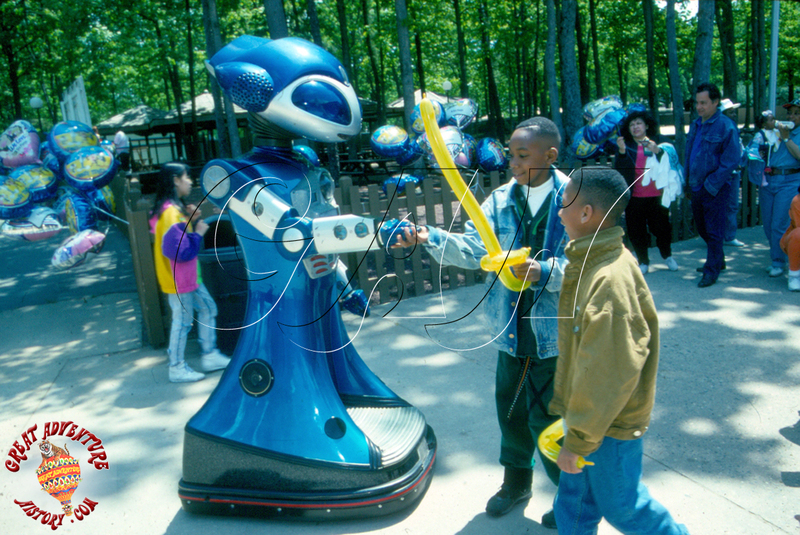 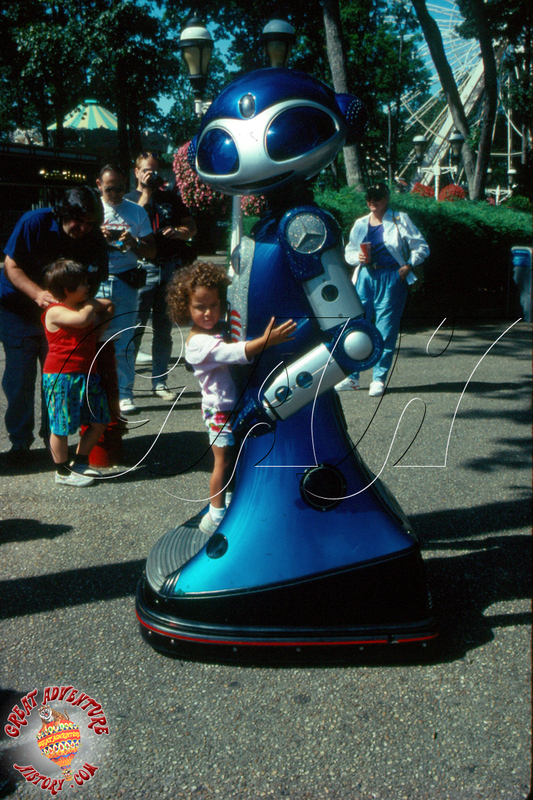 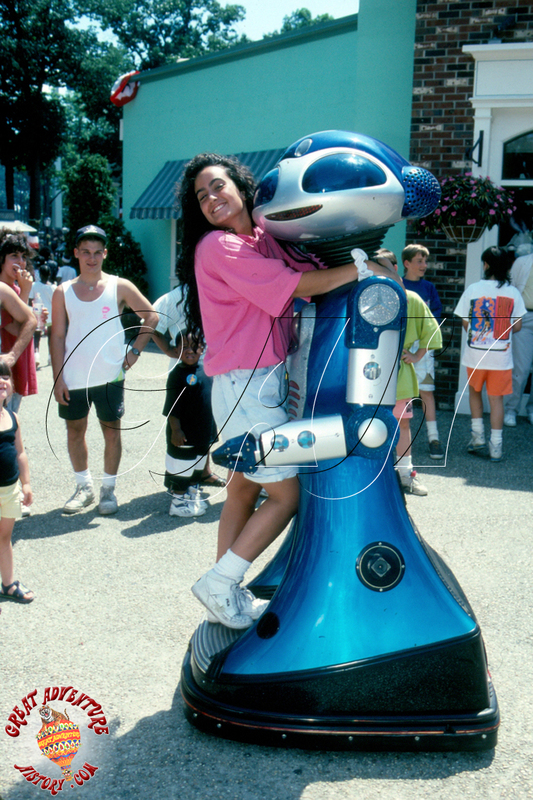 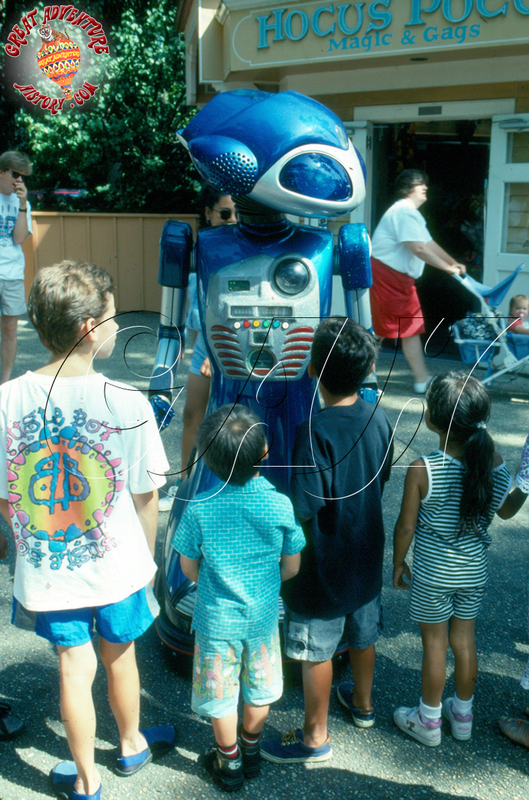 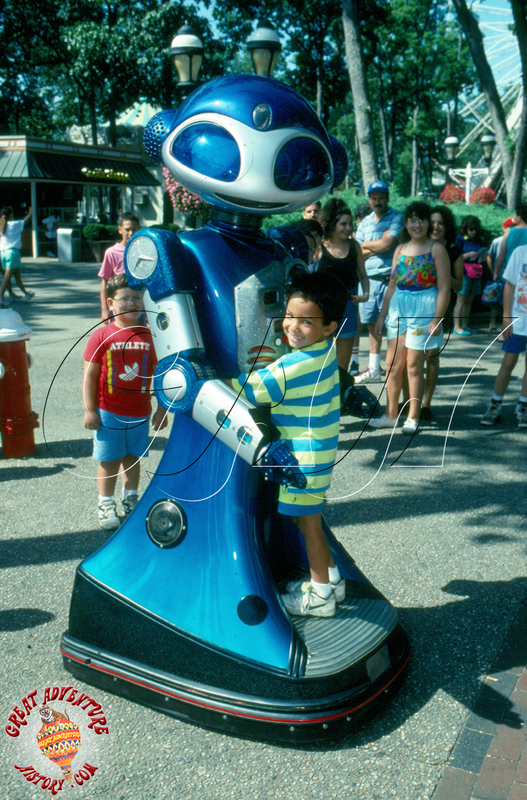 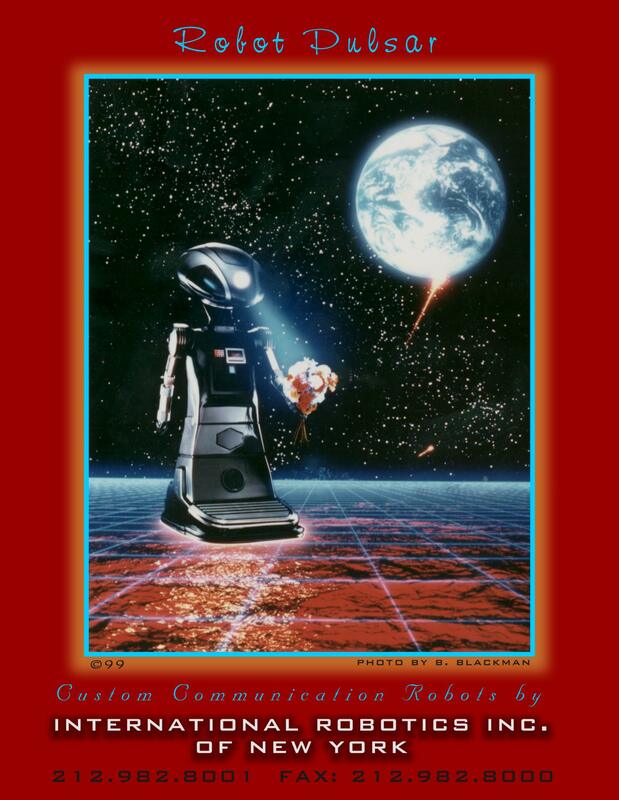 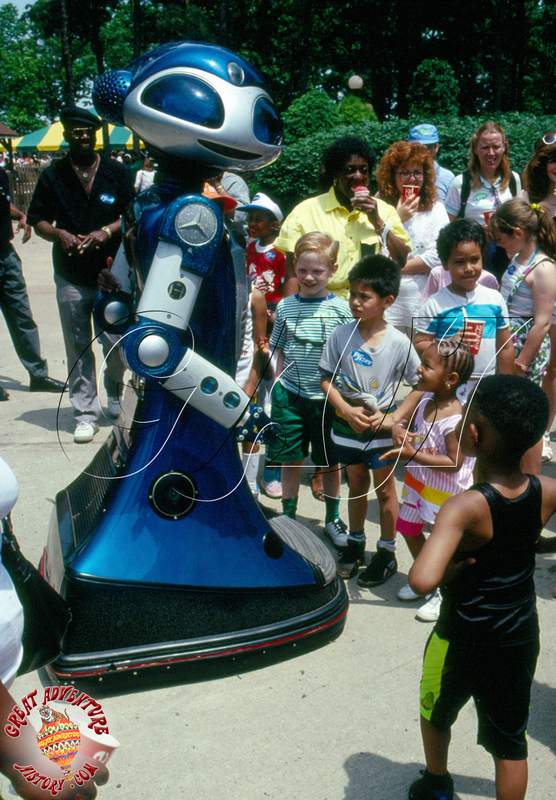 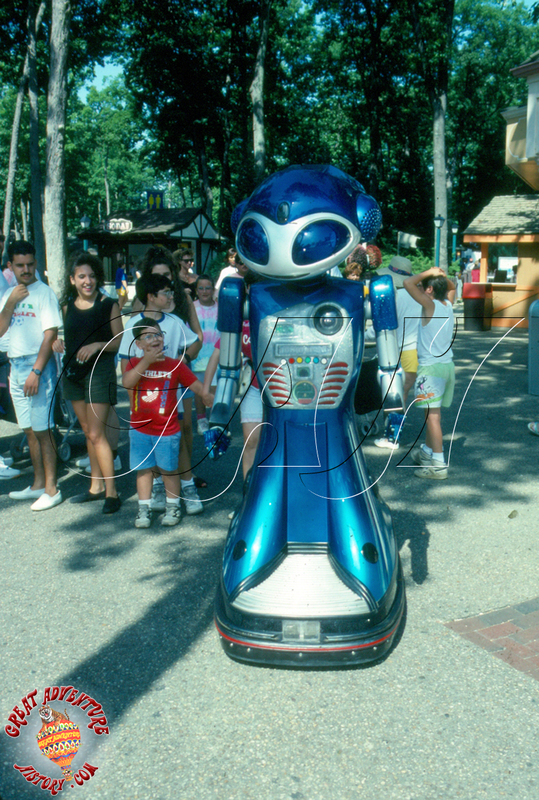 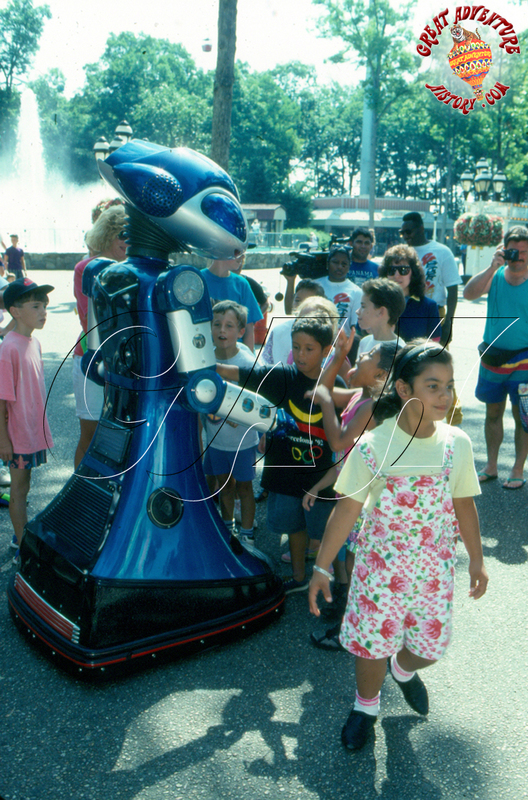 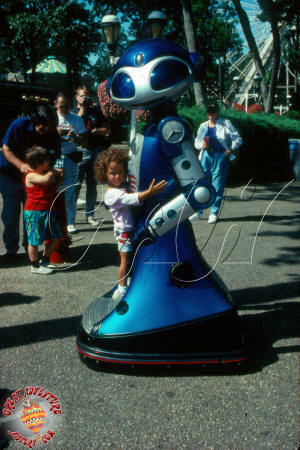 Almost all parks have walk-around characters of some kind, and with the improvements in materials and technology the use of robotics was introduced in the 1980's. Sci-Fi was cutting edge robotic technology when he was introduced in 1987. Sci-Fi for use at Six Flags Great Adventure. Sci-Fi had to be designed to be sturdy and durable for everyday use inside the park, yet a practical size for storage and transport for appearances outside of the park. 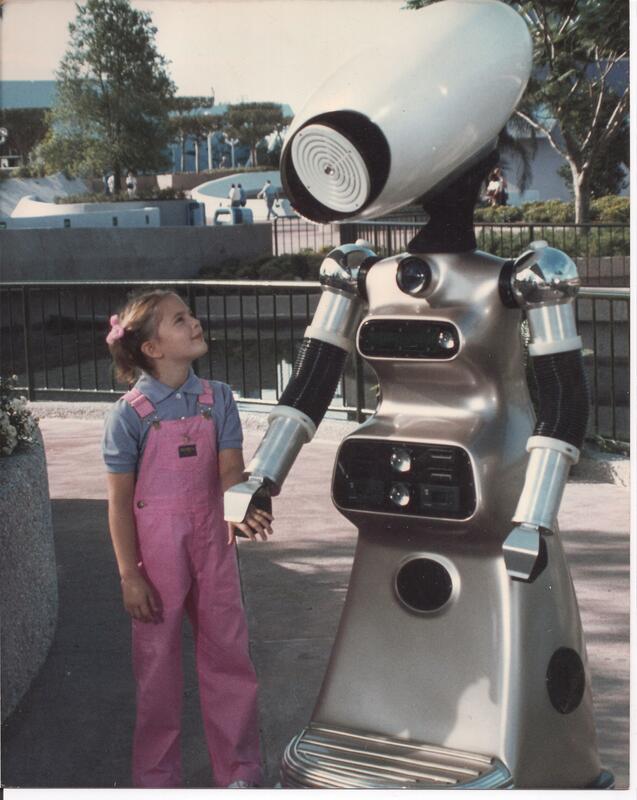 One of the big challenges of designing Sci-Fi was creating a robot that looked like a robot, while still looking approachable (not scary). 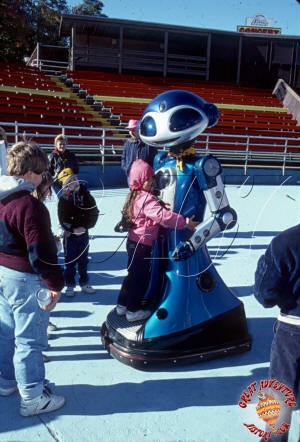 The design incorporated digital displays and lights, both real and decoy parts. 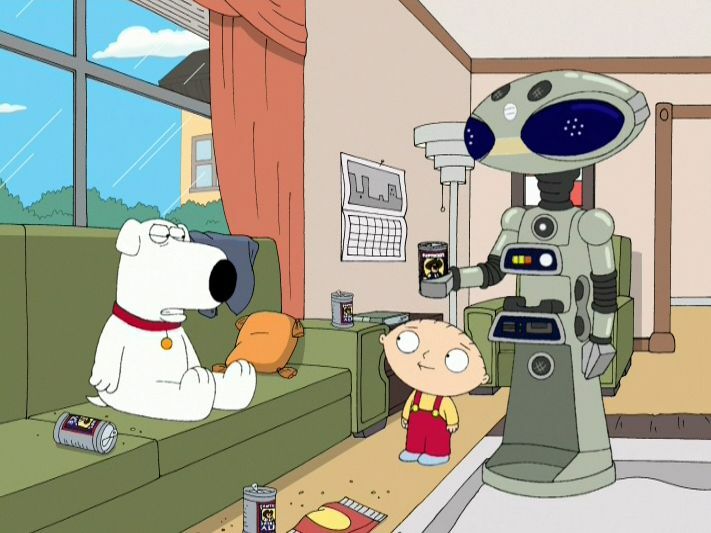 A tic-tac-toe game was also planned but not incorporated. Instead, a Simon type game with multi colored buttons took its place. Sci-Fi first on paper, then through models in progressively larger scale until a full size sculpted version was created. 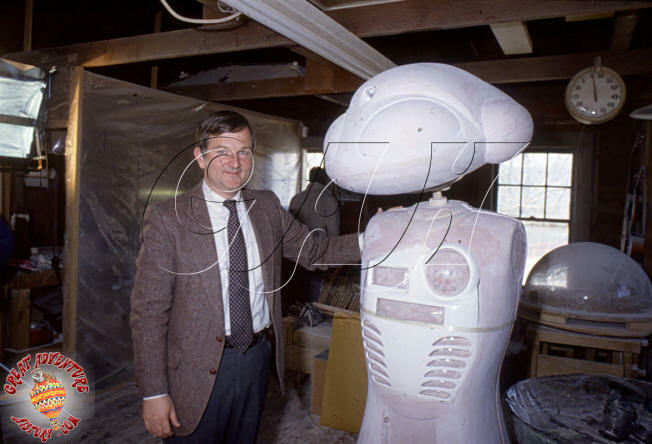 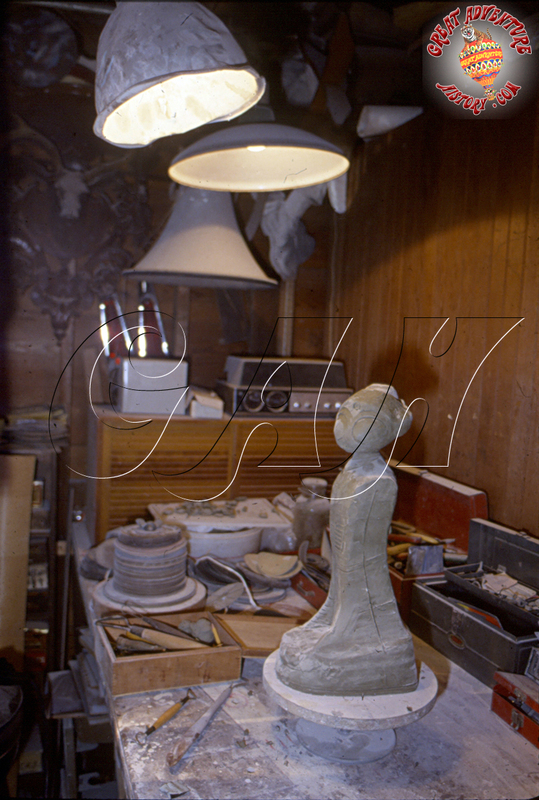 From that final sculpture the fiberglass shell of Sci-Fi was created. Sci-Fi was added as a "surprise" new addition for 1987. 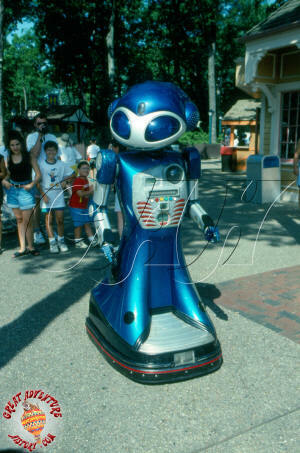 He was supposed to have been the first of several robots for Six Flags with each park getting their own robot. 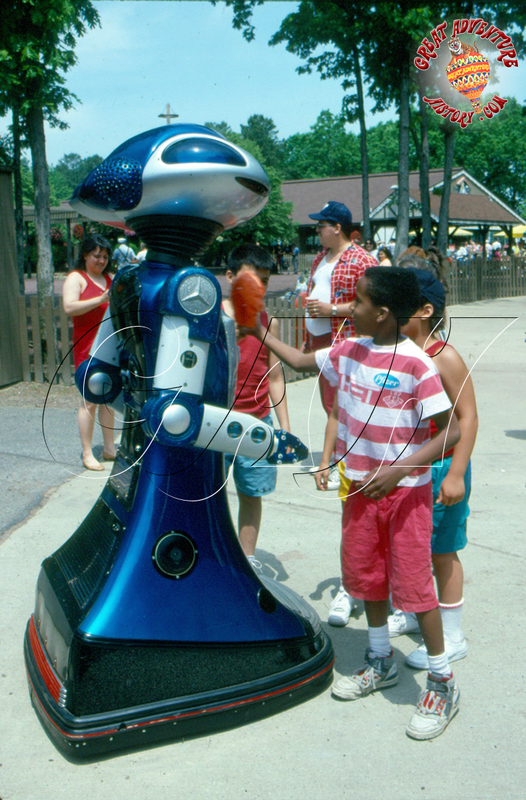 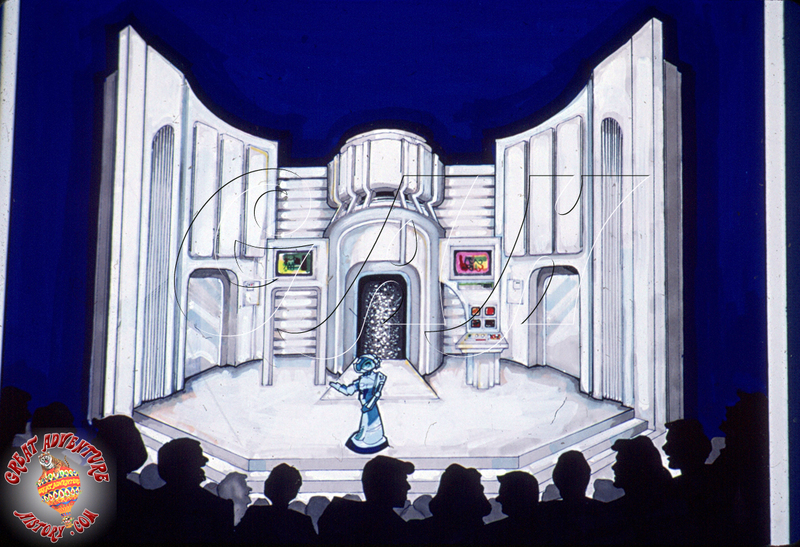 Along with Sci-Fi, Great Adventure was originally supposed to have received a second robot which would have performed in the park. 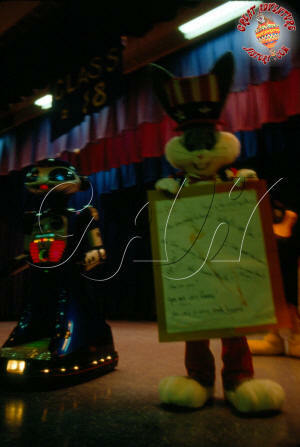 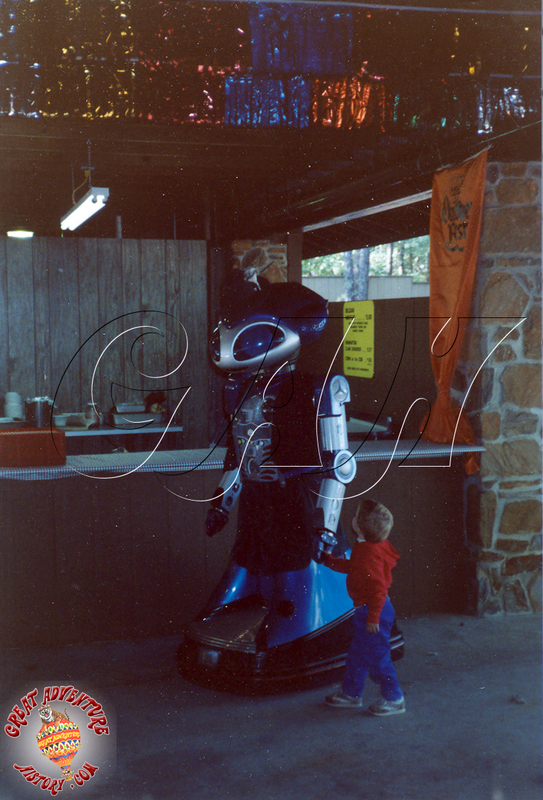 At the start of the 1987 season Sci-Fi was not quite ready to make his debut at Six Flags Great Adventure, so SICO came to the park for several weeks as a fill-in. SICO is probably the most famous robot of the 1980's, appearing in dozens of films and TV shows as well as commercials and print ads. SICO was part of the EPCOT Center grand opening special from October 1982, sharing a scene with host Danny Kaye and Drew Barrymore who had just become a huge star in the blockbuster E.T. 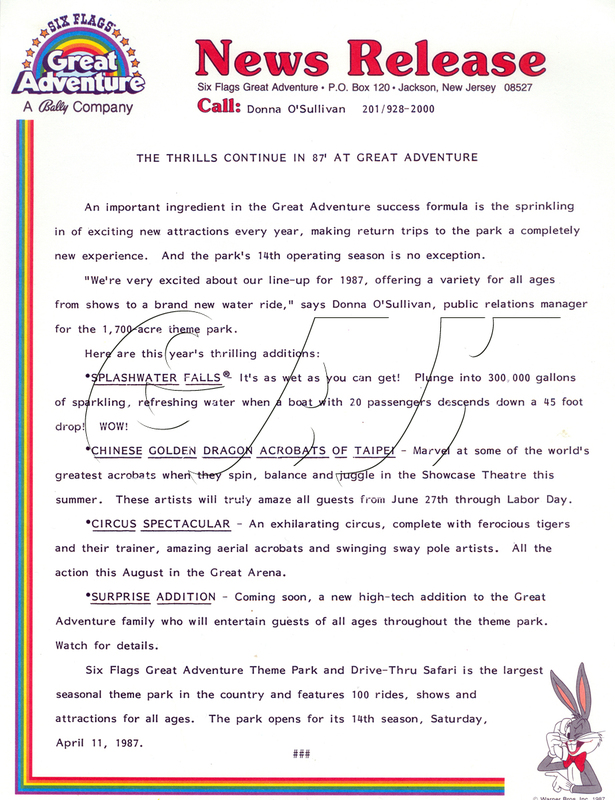 that summer. SICO also had a regular recurring role on the soap opera Days of Our Lives. 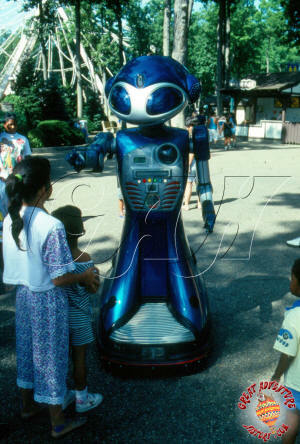 He was a robot who worked at Salem Hospital and was invented by Eugene Bradford, and at one point almost kills the Horton family matriarch, Alice. 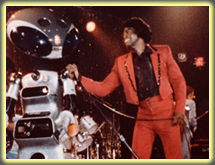 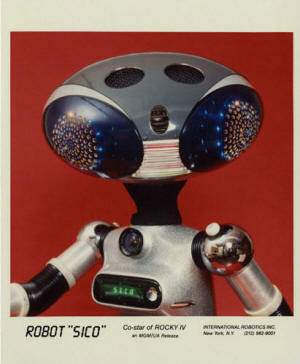 Prior to his arrival at the park, SICO starred on the big screen as the robot servant in Rocky IV in 1985. 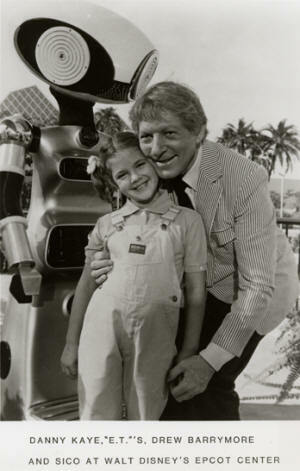 That same year he starred in Carly Simon's music video "My New Boyfriend". SICO's time at the park was relatively short, and once Sci-Fi was ready to roll, SICO went back to sunny California to hobnob with his fellow celebrities, though more recently appeared in an episode of Family Guy. 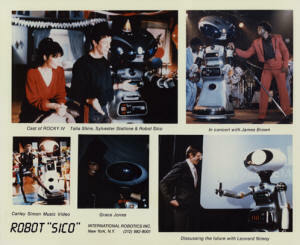 To date, SICO is the only robot member of the Screen Actors Guild. 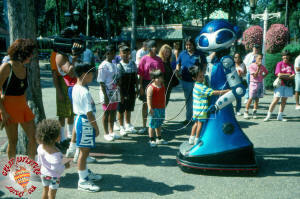 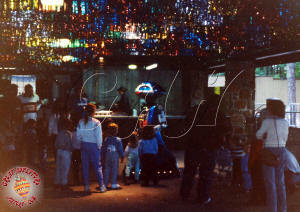 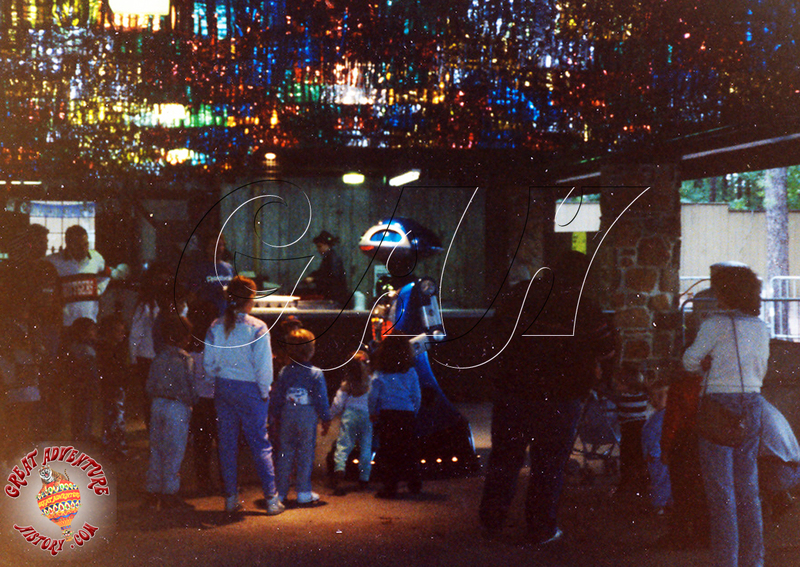 When Si-Fi was introduced in the park he was an immediate hit with guests, drawing large crowds of children and adults. 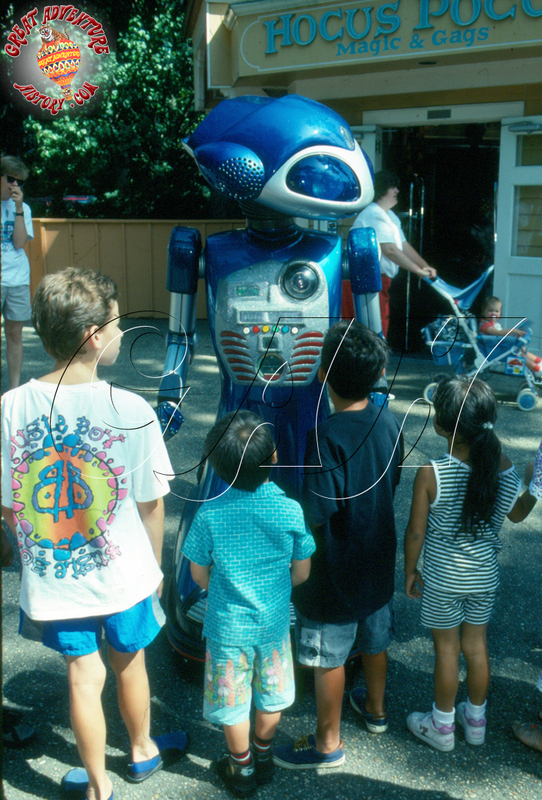 Sci-Fi's childlike voice and blinking lights made him irresistible, and children crowded around to talk to him and lined up to dance with him. Children loved standing on his platform and holding on while Sci-Fi sang to them and moved around. Sci-Fi was amazingly agile, with arms that could fully function for shaking hands. 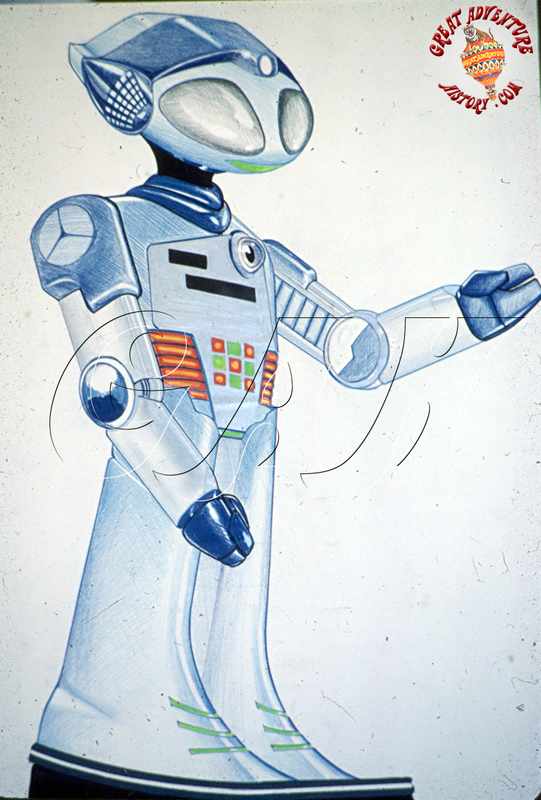 For safety, the base of Sci-Fi had a rubber edge with sensors that would stop his motion if it came in contact with anything. This prevented him from accidentally running over anyone's toes. Guests would stand and watch Sci-Fi trying to figure out if there was a person inside the robot controlling him. 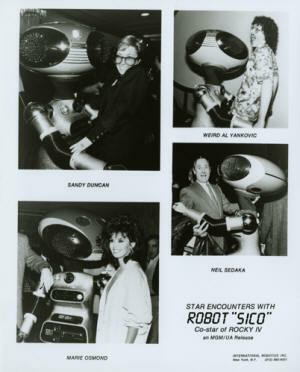 A fake camera lens was mounted in his chest, and guests would often put their face right up to the lens when asking questions, assuming that there was someone running the robot from a remote location. 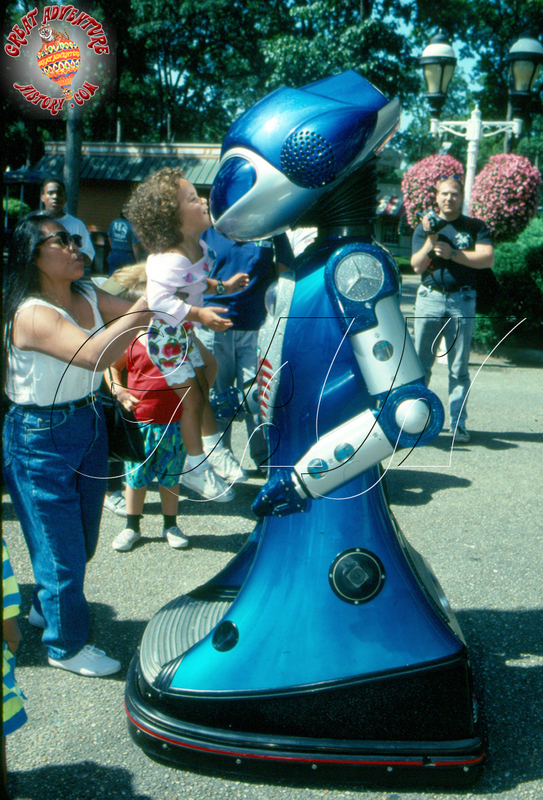 The crowds were correct in that the person controlling Sci-Fi was doing it remotely, though much closer than they could have imagined. 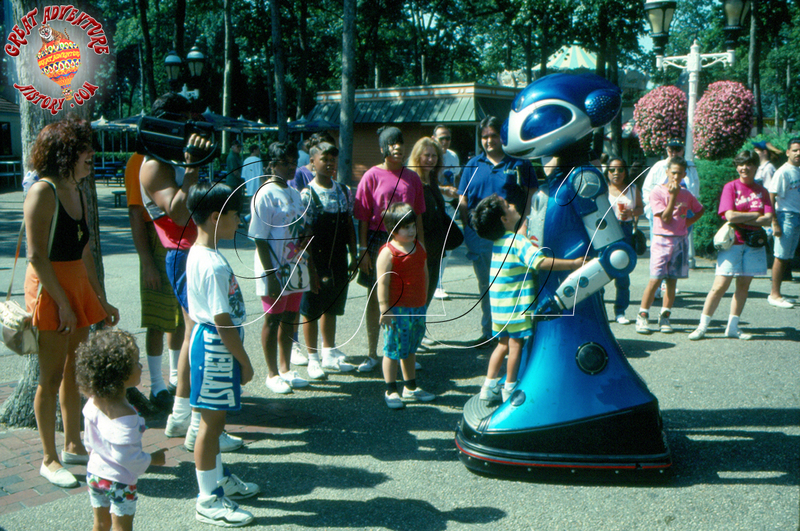 Generally the robot operator was standing right in the middle of the crowds so he could see everything that Sci-Fi was doing and hear everything the crowd was saying. 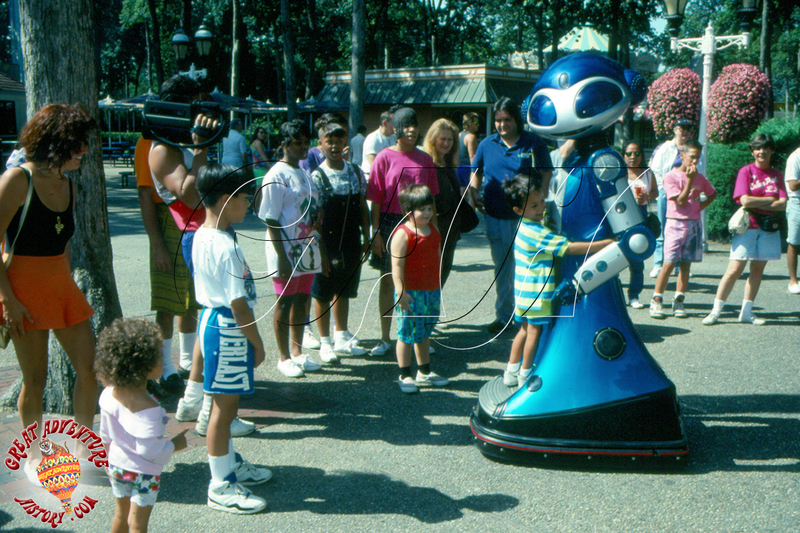 The operator was usually easy to spot in the crowds if you knew what to look for since he was generally in very loose fitting clothes with one hand in his pants pocket (running the controller) and the other hand near his mouth with the microphone. 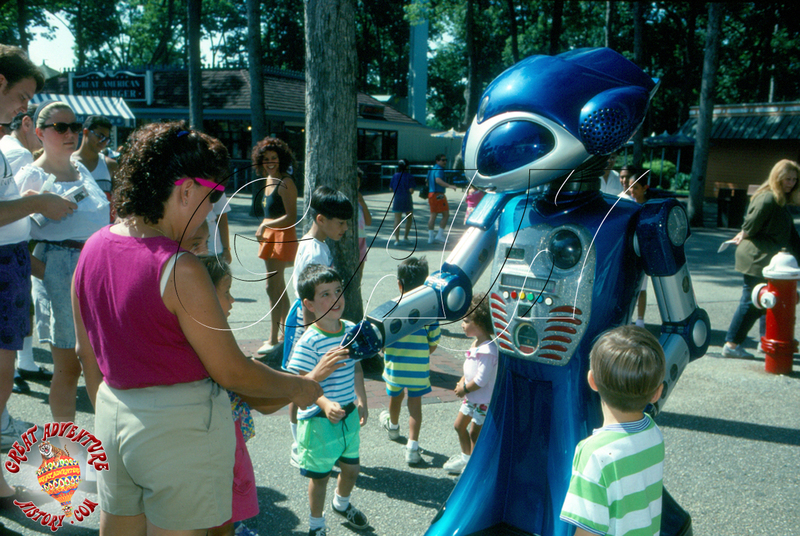 Sci-Fi spent a lot of time in the park greeting guests near the Front Gate, as well as at catered outings in the picnic grove. 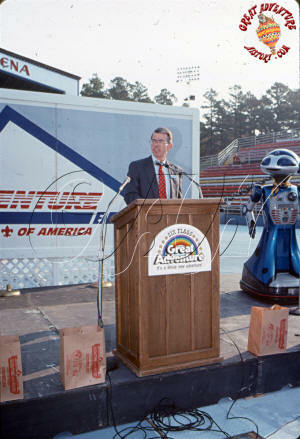 He also spent a lot of time (especially the off-season) on the road visiting schools and events all around the tri-state area. A special trailer was purchased just for hauling Sci-Fi from place to place, and an SUV had to be purchased to tow the trailer. 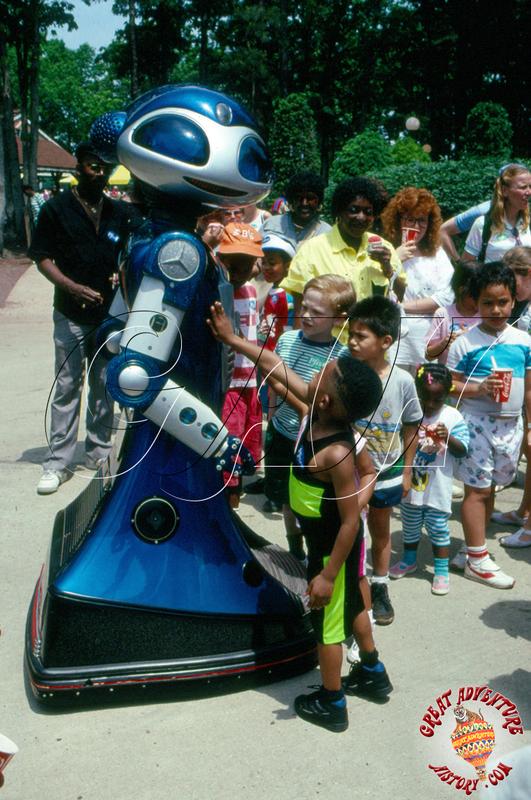 The truck and trailer racked up miles very quickly as Sci-Fi was in high demand for promotional events and he helped spread a lot of goodwill for the park. 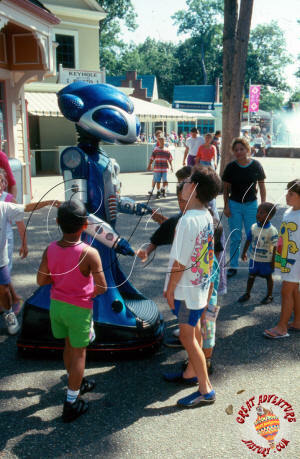 Though Sci-Fi was a big success at Great Adventure, plans were never completed for additional robots at other Six Flags parks. 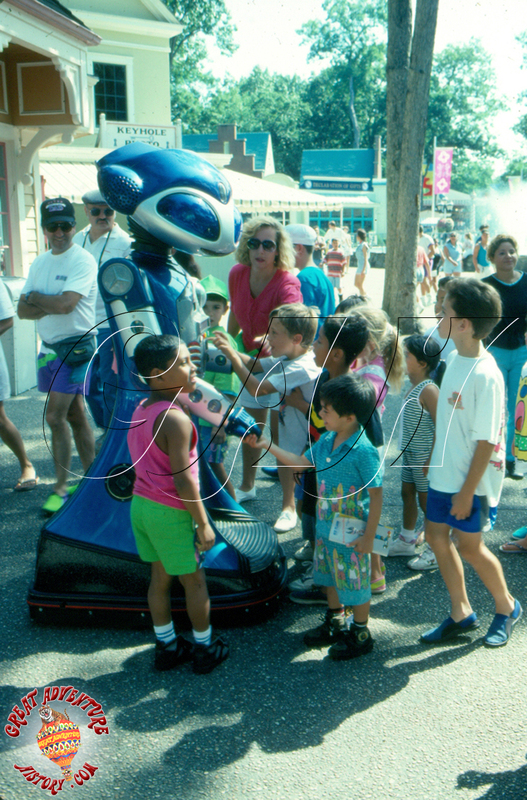 The executive with Six Flags who spearheaded the effort to create Sci-Fi left the company when Six Flags changed hands, and the program fell by the wayside leaving Sci-Fi an only child. 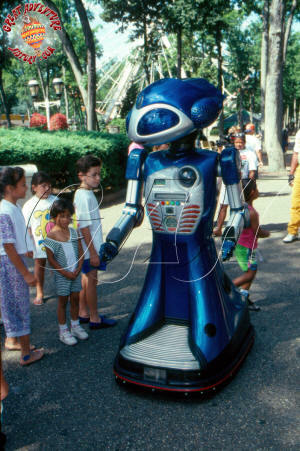 Over time, the wear and tear on Sci-Fi took its toll, and combined with the costs of keeping up the vehicle along with continued changes in ownership and management led to the robot's retirement in 1993. Sci-Fi is still at the park, sitting unused in an office. 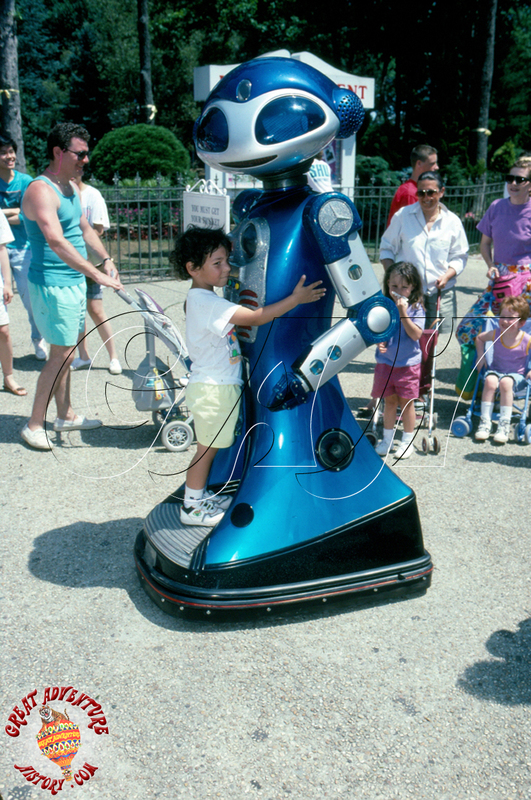 Perhaps one day he may get serviced and updated with today's technological advances and return to the park again. 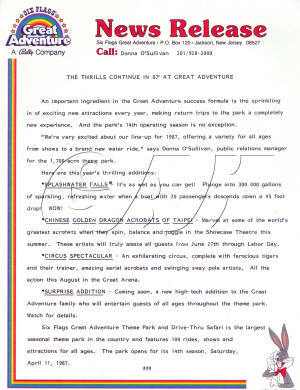 Six Flags Great Adventure commercial. 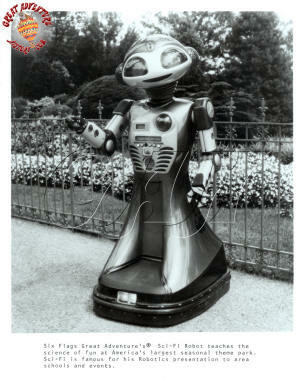 Sci-Fi had a sister robot named Pulsar who lived in the Philadelphia area at a nightclub called Pulsations. Pulsar was the robotic hostess at the (then) cutting edge nightclub that featured state of the art light effects and sound system. 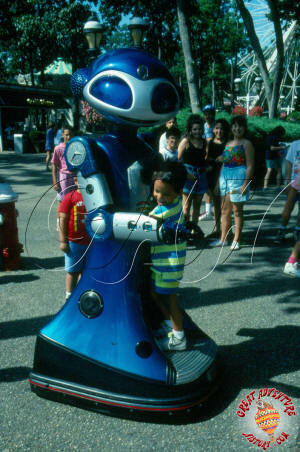 Aside from the Disney parks, no other park has ever had such a technologically advanced, free moving street character in operation. Also planned for Great Adventure was a stage area which was to have been added behind the Big Wheel where Sci-Fi would perform. 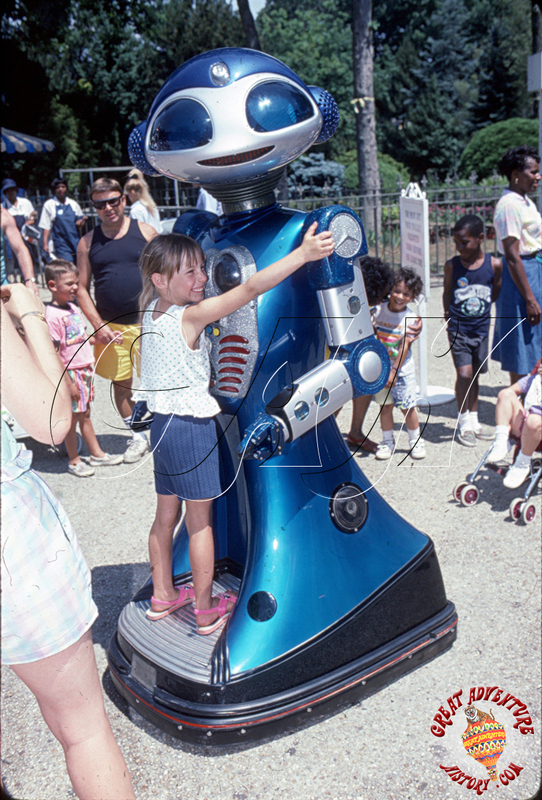 Plans called for a second (and larger) robot to have been created that would stay in the park, while Sci-Fi was sent out on the road promoting the park. The idea was that Sci-Fi would become a Six Flags brand with merchandise and photo opportunities and eventually become a symbol of Six Flags from coast to coast, a kind of a mechanical Shamu.